7 ELEVEN BRING YOUR OWN CUP DAY! If there's one thing I can say about my friends and I, we are all food predators. We would literally go anywhere near or far just to eat or try a new drinking place. I remember my friends and I went on a girl’s night out and we all craved for 7-Eleven's Slurpee, so we drove everywhere looking for a 7-Eleven store. When we found one, we all ordered two big Slurpees each. That's why I am so excited about 7-Eleven's Bring Your Own Cup Day happening on November 7. 29 PESOS FOR UNLIMITED SLURPEE!! 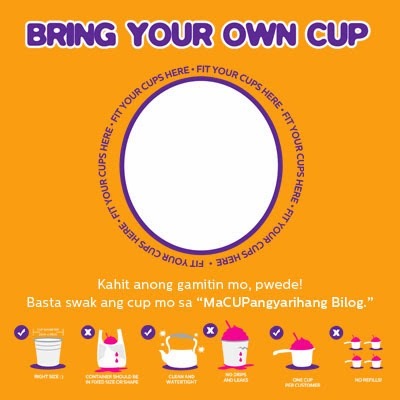 Design your cups now and get a chance to 5,000 pesos cash! In this one-day only event, customers can use their own cup to buy Slurpee for only 29 PESOS! How awesome is that? What a treat! This "cup" can be anything, whatever you want. You can bring a pitcher, a flower pot, a trophy, you name it. As long as it's clean, leak proof and it can fit through the "MaCUPangyarihang Bilog" standee! And it doesn't end there, 7-Eleven will also hold a contest on who can bring the most creative cup. All you need to do is follow 7-Eleven on Facebook and Instagram, and then upload a photo with your cup using the hashtag #BYOCupDay. So exciting! Not only do I get unlimited Slurpee for only 29 Pesos, I can also finally reunite with my girls again after so long of being MIA. Save the date! November 7, in all 7 eleven branches. NOVEMBER 7, IN ALL 7 ELEVEN BRANCHES! OH AND DON’T FORGET TO FOLLOW 7 ELEVEN ON TWITTER AND ON FACEBOOK AND TAKE A PHOTO OF YOUR CREATIVE CUP. 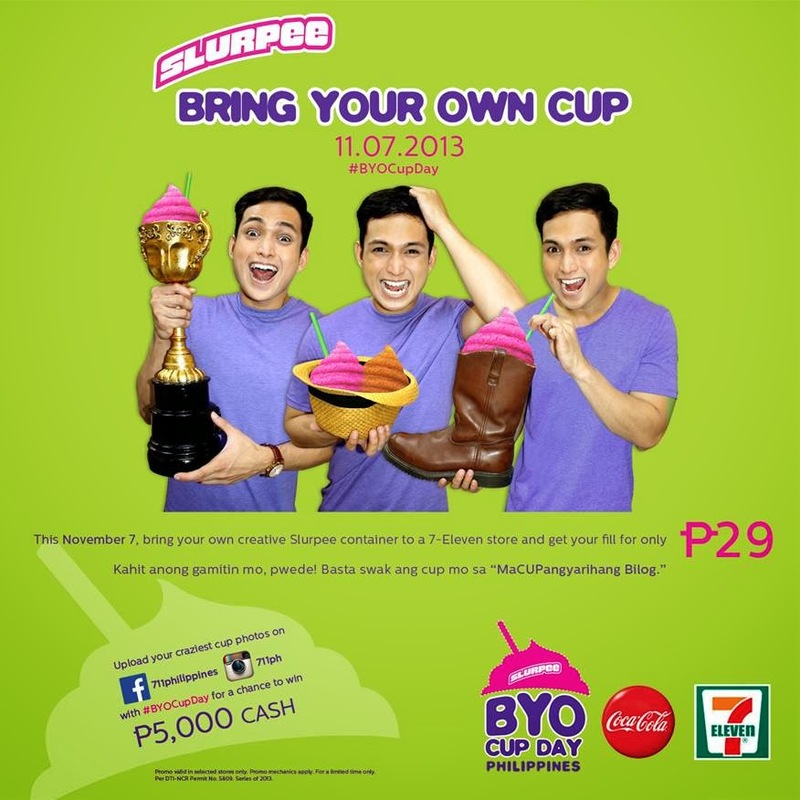 UPLOAD IT ON INSTAGRAM WITH THE HASHTAG #BYOCUPDAY FOR A CHANCE TO WIN 5,000 PESOS CASH!!! Finally my family and I had the time to go on a vacation. For the long weekend/sembreak, we went to Hongkong. We've been wanting to go back for so long, but our plans never pushed through due to everyone's busy schedule. And on top of our list on where to go is... THE HAPPIEST PLACE ON EARTH, DISNEYLAND. We had the most amazing time, we were riding all the rides and eating like there's no tomorrow. But what I'm most happy about this trip is that I got to spend time with my family. We barely see each other at home, because all of us have been busy. Julia has been busy with work, I've been busy with school and work, etc. That's why this trip was such a blessing. Anyway, here's what I wore to disneyland. I wanted to wear something comfy and weather friendly. It was kinda hot thats why I decided to wear shorts and a cropped top.